Need a quick breather from the dance floor? Step into our rider lounge at Stampede–we’ve got you covered! We’ve teamed up with Budweiser to host a special lounge to help you (and your phone!) stay charged up all Stampede long. Come and take a load off. 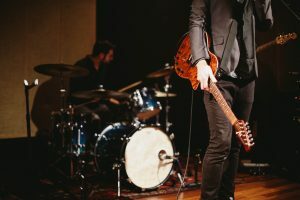 We’ll have everything you need to relax and refresh: phone charging stations, clean bathrooms, seating areas, free water, music. You name it! Plus, you can sample Budweiser’s new non-alcoholic Prohibition beer throughout the lounge. 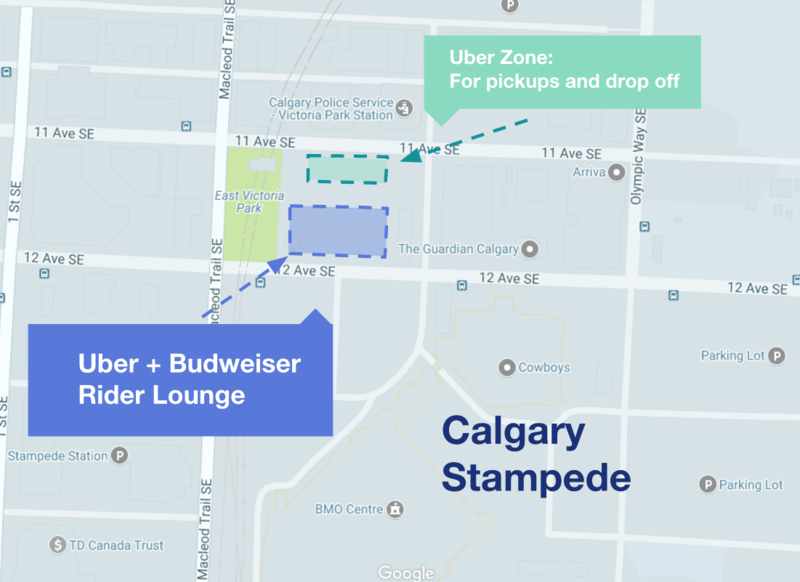 Our Uber Zone is conveniently located across the street from Stampede Park. So when it’s time to head out, you can request your ride from inside the lounge and easily meet your driver. Just exit the tent from 11th Avenue SE to meet your driver at the corner of 11th Avenue SE and 3rd Street SE when they arrive. If you have any questions about Uber or your ride, our team at the rider lounge will be happy to help. To find the lounge, head to the corner of 12th Avenue SE and 3rd Street SE. There will be Uber signs but keep your eyes peeled for the large white tent. Make sure you have your Uber app handy to show to the Uber staff upon entry. See you on the grounds, Calgary! We’re wrangling up some special features just for you. Check out our official ride guide for the biggest event of the season and get in on all the action, from giveaways to tips for a 5-star ride. This Stampede, get ready to take two-stepping to the next level. We’re teaming up with Cowboys to bring you UberCOWBOYS.